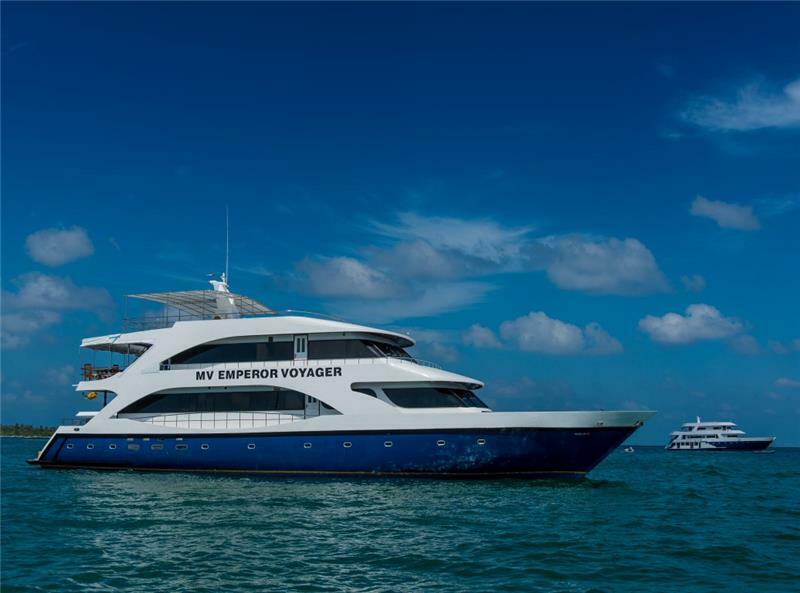 A welcoming modern, spacious liveaboard built to a high standard, Emperor Voyager is a 30 metre boat accommodating 20 guests in 7 twin (choice of decks) and 3 double cabins, all ensuite with air-con and a fan. 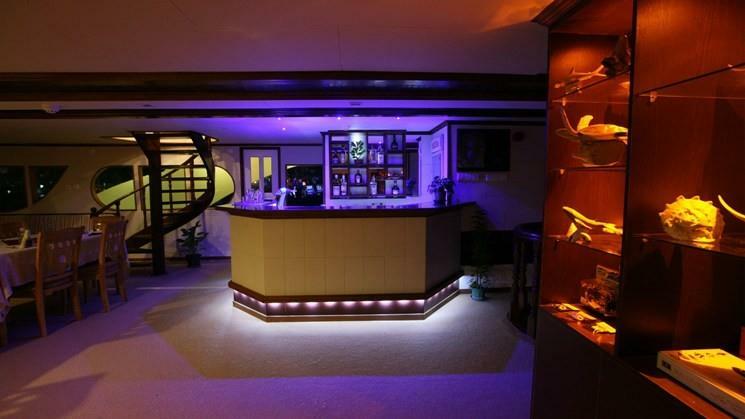 The main deck has cushioned seating as well as sofas and tables inside for shaded relaxation. 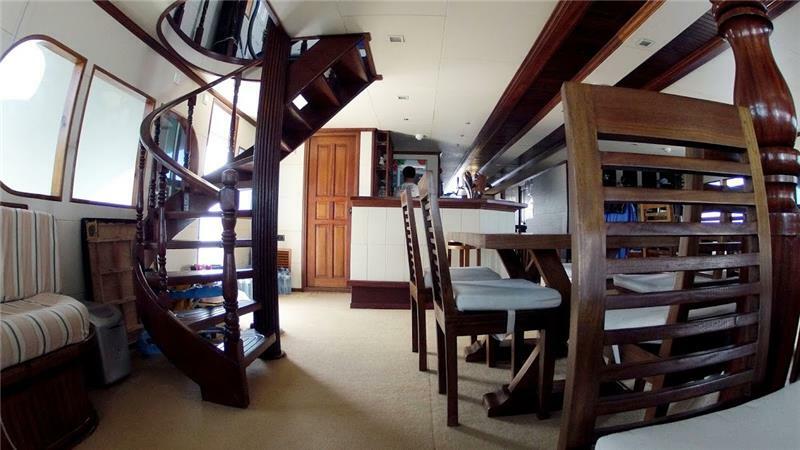 On the upper deck is a home theatre and comfy sofas, whilst outside is the dining lounge with tables and chairs with a sea view where you will have all your meals and aperitifs but can also make use of this area to check your cameras and torches or simply relax. 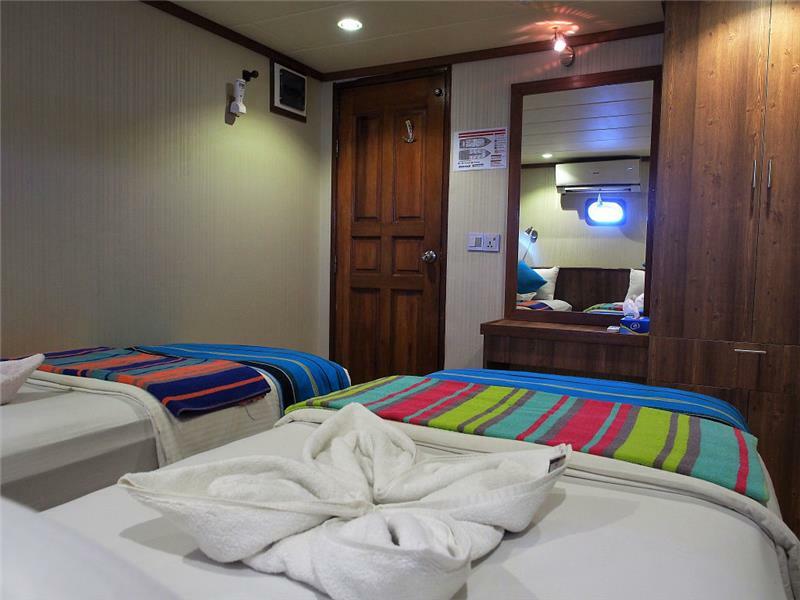 The sundeck is perfect for catching those rays or having a nap on a sunbed. 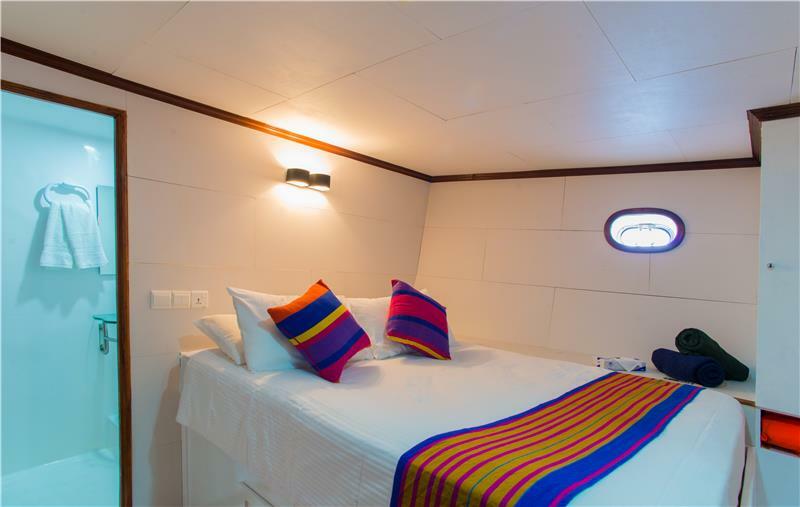 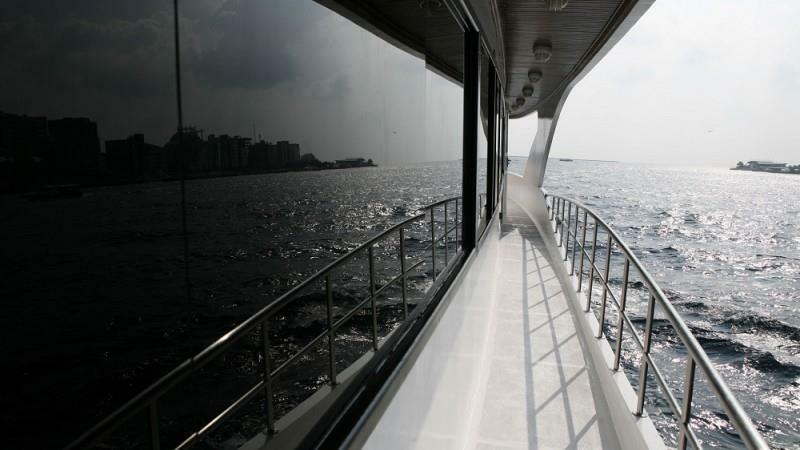 All diving is done from her large dhoni tender, giving you more living space on board and getting you to the perfect dive spot every time. 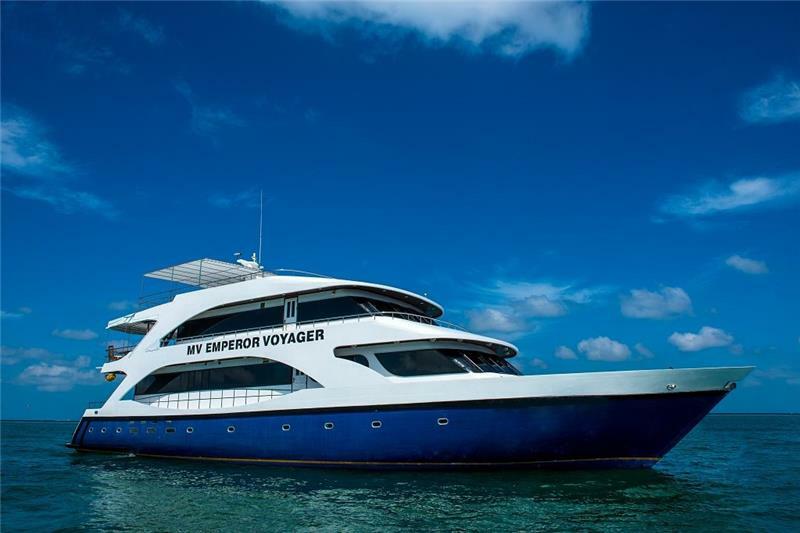 Emperor Voyager is rebreather-friendly. 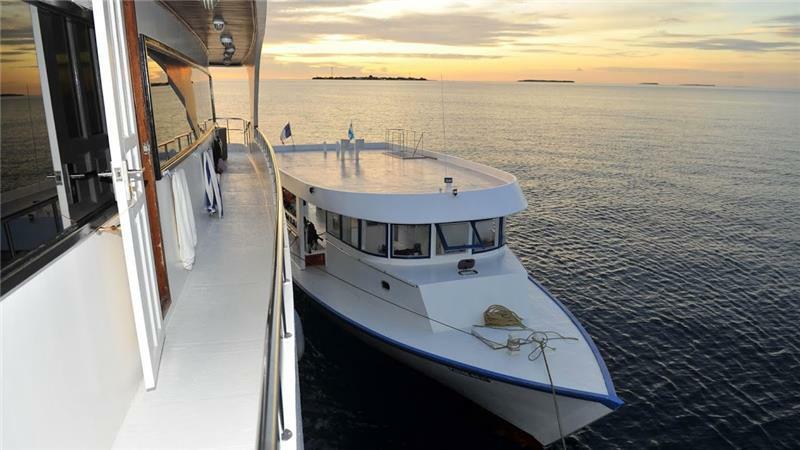 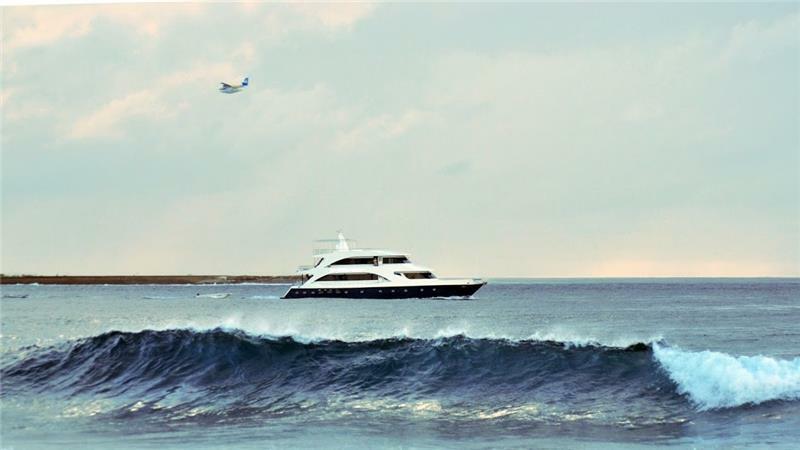 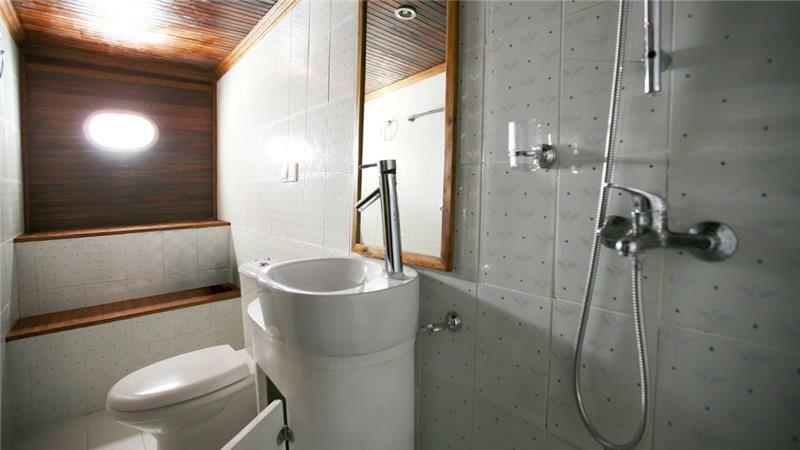 She also offers free NITROX, all diving and safety equipment as well as a photography charging station and three dive guides.